Creeping, crawling, through the forest floor. 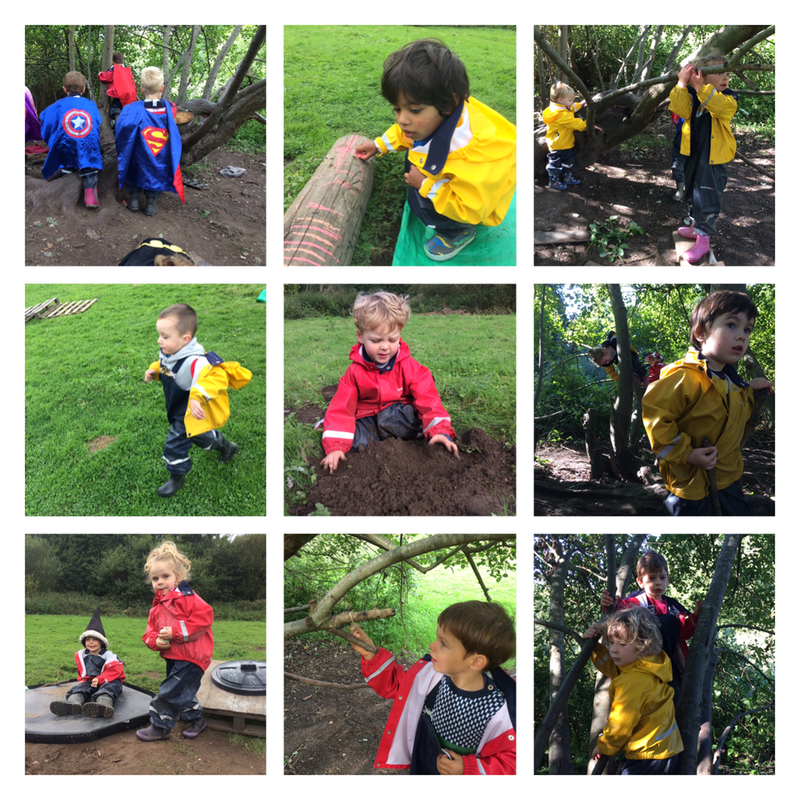 What did the little forest folk find in our forest this week? In the period between seasons, things are changing rapidly in Fishpond Woods and the children are certainly taking notice. Our slimy friends the slugs have been out in force and they seem to be getting bigger and bigger, much to the amazement of the children and the adults. Mushrooms are sprouting all over the forest and the little forest folk are becoming quite adept at finding all different varieties to show their friends (but no picking and licking!). Equipped with pencils, chalk, sticks and stones, this week has seen the children’s artistic natures come out in wonderfully creative ways. The chalks have been very popular for their ability to write and draw on almost any surface, allowing the children to leave their pictures and writing all over the fallen logs, pallets and themselves! We have also seen the children take on the challenge of writing their own names, with mixed results, but all showing incredible resilience and persistence in getting their names down on paper or in the sand and soil. A group of children created their own story (written down by one of the big forest folk) through the making of characters from the natural forest resources. The legends featured: Batman, a princess and a dragon. The imaginings of the week were pretty radical and spurred some great role playing with lots of the children involved. Under the Imagination Tree, a large group of children became a large herd of different pets who promptly got themselves stuck up the tree (pretending, thankfully!). This meant the firemen had to come out and rescue them, an act done with efficiency and kindness, so as not to spook the younger kittens and ponies. On the meadow, however, some very frightening children were abroad: pirate children! Using some pallets raised on logs, a ship was constructed with a rudder, oars and the mandatory plank! However, with the pirates themselves being of a mostly unsavoury sort, they ended up all walking the plank eventually! ARRR!